We are the leading wholesaler, trader and manufacturer of a wide range of Industrial Fasteners. These are known for the features like high tensile strength, dimensional accuracy, corrosion resistance and less maintenance. 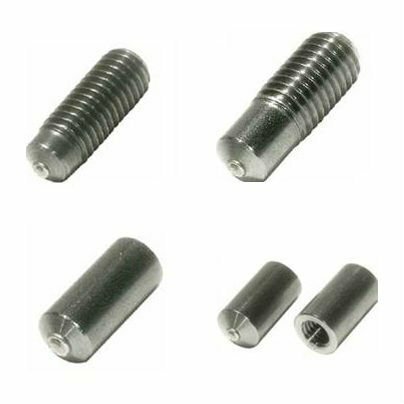 We are reckoned as one of the trusted wholesalers, traders and manufacturers of a wide gamut of Industrial Fasteners that are used in various industries. Our wide range of product includes Powercoil Thread Repair Kit Tools, Helicoil Thread Repairing and Thread Repairing Inserts. These components are sourced from reliable vendors and are widely appreciated by our clients for the features like minimal maintenance, high tensile strength, dimensional accuracy, corrosion resistance and sturdy design. Furthermore, our range can also be availed in customized forms depending on the needs of the clients and is offered at competitive prices.